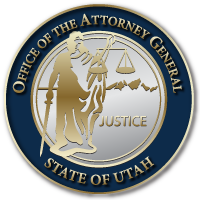 SALT LAKE CITY, Utah September 18, 2017 – Utah Attorney General Sean Reyes co-authored a letter representing a coalition of 37 states and territories urging health insurance companies to examine financial incentives that contribute to the opioid epidemic in Utah. The bipartisan coalition announced Monday a two-step strategy intended to identify problematic policies and encourage reforms to spur increased use of non-opioid alternatives for treatment of chronic, non-cancer pain. Describing the opioid epidemic as “the preeminent public health crisis of our time,” the 37 attorneys general will send a letter to industry trade groups and major insurance providers nationwide. It urges insurers to review their coverage and payment policies as the starting point in a coalition-initiated dialogue focused on incentive structures across the insurance industry. “Utah citizens, like those across the country, deserve to have their pain management needs addressed in a responsible way that does not promote an even greater risk to their health and well-being. Solving the current opioid crisis is incredibly challenging because there are so many layers of contributing factors involved. This letter is significant but only a part of one area of concern. To be clear, this letter is not an accusation of wrongdoing aimed at the recipients but rather an attempt to ask partners in the private sector to be part of the multi-faceted solution to the crisis. “From opioid manufacturers, distributors, prescribers, pharmacists, and insurance companies to addicts and their families, emergency responders, recovery professionals, and law enforcement agencies, among others, we must have difficult conversations to fix a problem that is not going away on its own. The attorneys general, in acknowledging the important role insurance companies play in reducing opioid prescriptions, hope to assess the positive and negative impacts incentive structures have on the opioid epidemic. They contend incentives that promote use of non-opioid techniques will increase the practicality of medical providers considering such treatments, including physical therapy, acupuncture, massage, chiropractic care, and non-opioid medications. Increased reliance on these alternatives will combat a significant factor contributing to the epidemic – the over-prescription of opioid painkillers. The letter notes the number of opioid prescriptions have quadrupled since 1999, despite Americans reporting a steady amount of pain. Attorneys general from West Virginia, Arkansas, Florida, Kansas, Kentucky, Mississippi, New Mexico, Virginia, and Utah are co-sponsors of this effort. Other attorneys general signing the letter are those from Arizona, California, Connecticut, District of Columbia, Georgia, Hawaii, Illinois, Indiana, Maine, Massachusetts, Michigan, Missouri, Montana, Nebraska, Nevada, New Hampshire, New Jersey, New York, North Carolina, North Dakota, Oregon, Pennsylvania, Puerto Rico, Rhode Island, South Carolina, South Dakota, Vermont, and Wisconsin. This entry was posted in Recent Posts and last updated on September 19, 2017 .